Experienced divers find that a modern dive computer is a great tool. Instead of the old Navy tables for making the careful calculations that go into a safe diveâtoday’s computers can monitor and calculate your dive’s parameters, making the experience more reliable, more comfortable and more fun. The Oceanic VTX dive computer offers a new design that is stylish and convenient. The unit includes innovative features along with the precision of a quality instrument. In this article, we’ll take a look at this popular model and how it mightâor might notâwork for you. The Oceanic VTX is a technical diver’s tool that meets the needs of the recreational user. This is an important step forward for scuba diving because the profile of a recreational dive is difficult to calculateâinstead of descending to perform a task and then resurfacing, a recreational diver tends to alternate depths frequently, going up and down several times during an excursion. A dive computer automates the necessary calculations for you. 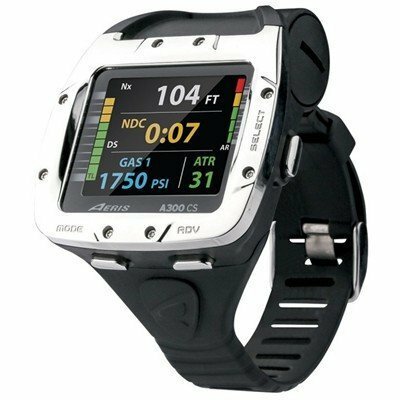 If you like the idea of a single display with your dive information, the wrist-mounted VTX deserves your attention. Not only will the unit keep your gear streamlined and conveniently accessible, but it’s also contained in a stylish modern design. A quality dive computer can be expensive, and a beginning diver will want to gain experience before making the outlay. New divers usually start out with rental equipment and necessary tools. The Oceanic VTX is best used by more advanced divers who already have a base of knowledge and experience, who are looking for a stable and reliable tool to augment their dive. Safety is the first requirement for diving equipment: dive computers are a form of integrated circuit, so they are generally quite reliable. You still want to check the reputation and experience of the manufacturer, as well as technical reviews and user feedback. Dive computers can monitor some dive parameters, such as depth, pressure and dive time, so make sure your chosen model offers the stats you want. Check out the display clarity and convenience, as well as the menu system and how easily you can adjust settings. You don’t want to waste time fiddling with your equipment during a dive. The array of features in a dive computer increases power consumption. Since portable power is necessary for the unit, battery life is an issue. Plan your power replacement strategy to avoid complication. Some units have rechargeable options and power-saving settings to extend battery life, which can make a difference if you plan long trips. Be aware that some batteries are hard to change or even require a dealer’s installation to preserve its warranty. Avoid batteries that drain quickly but are problematic to switch out. Many technological advances offer convenience and performance during your dives, but few are standard: make sure to get the features you most want. You may prefer wireless gauges to hose attachments, or need logging capacity and Bluetooth integrationâthere are many add-ons possible but expect to pay for the latest bells and whistles. 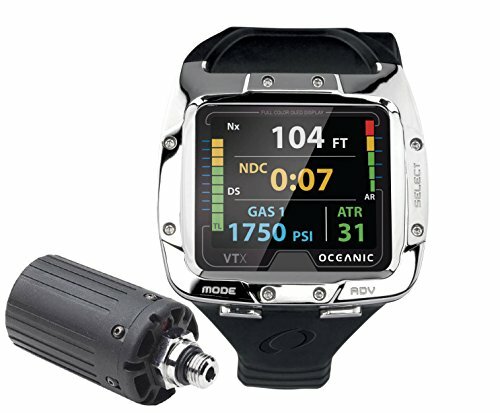 The Oceanic VTX is an air-integrated, wrist-mounted dive computer made by one of the most respected scuba gear manufacturers in North America. It offers a combination of competitive technical features in a fashionable design. The VTX’s sleek design offers a wireless transmitter for air-integration and a patented air time remaining algorithm. One of the premium features of the VTX dive computer is its high contrast OLED color screen. The clean, intuitive push-button menu system shows up to 4 Nitrox mixes along with your dive parameters. It is powered by 2 CR123A batteries that can be easily changed by the user. The VTX isn’t a beginner’s device, but it provides a sleek interface and reliable performance for experienced divers. It’s great for streamlining your diveâand it looks great in and out of the water. One of the most popular convenient features of modern dive computers is integration with your air tank, with a wireless transmitter instead of a hose. The Oceanic VTX offers this form of air-integration, so you have a remote control and can monitor your gauges with just a glance. The system tracks up to 4 Nitrox mixes, with individual PO2 set points for each. Connectivity is an issue with any transmitter, and the VTX restores lost connections automatically within reasonable proximity. The wrist-mounted display is a primary feature of the Oceanic VTX. The ultra-bright OLED screen is full-color â¦ it presents as nicely as any watch. Critical data is color-coded for instant identification. The OLED display departs from older LCD screens with black letters on a lighter screen. This new color option lacks the backlighting of LCDs, so it can be difficult to see in direct sunlight. You can shield the screen for viewing, but this two-handed operation somewhat defeats the convenience purpose. You can quickly adjust the brightness intensity, but the battery power will also drain more rapidly. The screen is beautiful and works perfectly at night or in deeper water â¦ be aware that some users have found this issue to be a drawback. The VTX excels at display functions. 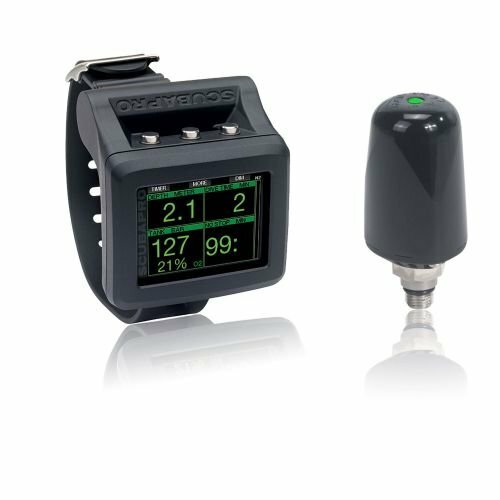 Used together with the tank transmitter, your full dive stats are instantly visible at the turn of your wrist. You can view and control your computer settings remotely too. The menu system is intuitive and easy to learn and has an uncluttered, attractive push button design. Your current dive information is color-coded for quick visual identification, and it’s simple to switch between from statistics to compass mode. The VTX is powered by 2 CR123A high-performance lithium batteries, rated between 30 and 40 hours of dive time. The device has many functions that add up to significant power drain, especially at higher brightness settings. Take note that the batteries included may have undergone testing, so be prepared with an extra set when first starting out. Your usage time will depend upon everything from ambient conditions to the age of the cells, though it is most profoundly affected by the brightness setting. The batteries are easily changed, however, so you can keep a spare for switching out anytime. The VTX has data retention capacity, so your settings and calculations are preserved during changes. Dive computers are generally reliable, and the VTX is no exception. You can count on the unit for accurate reporting and safety alerts. The VTX is well-engineered to deliver functions you can rely on. Though negative reviews have been posted about the display readability and limited battery life, it is difficult to isolate a verified claim of failure. The company’s vigilance and follow-through during the recall process provides users with additional assurance. The VTX has a 2-year warranty, so check your vendor’s guarantee and maintain the unit as directed. The attractive look of the VTX represents the newest phase of dive computer design: lightweight integration on a personal scale. Its polished chrome frame holds a sleek and clean modern screen in full color. Unlike more awkward strap-on wrist computers, Oceanic has crafted the VTX as a wearable device with a slim profile. Despite its full set of tools, this is one of the few dive computers that can double as a watch … and get compliments. Logging ability with up to 24-dive storage capacity. You can add and view your location and other notes about your dive â¦ and do it from anywhere. Built-in 3-axis digital compass with tilt compensation. The function turns on with a simple switch. Wireless firmware connectivity for feature and performance updates. The unit automatically maintains the latest version. Automatic Altitude Compensation for altitudes between 2000 ft and 14,000 ft. The VTX provides automatic adjustments to show no-decompression times and depths. You can recalibrate the display for either freshwater or seawater. The VTX has many positive user reviews online, with many 5-star reviews and recommendations. Sometimes the most helpful reviews have honest critiques. Most issues that are mentioned whenÂ you research this model are that the screen is hard to read in bright daylight. OLED displays unfortunately are hard to read in sunlight. Yet, underwater they show all the brilliance of that technology and allow you to read everything clearly. Shearwater is a respected scuba brand, and their Perdix model is specifically targeted to technical divers. The flat unit has a compelling design and includes many of the features found in Oceanic’s VTX. The main difference is that the VTX meets the needs of technical divers, but also appeals to recreational users. Consumers often make their technical gear a part of their lifestyle, and the sleek design and colorful screen are fashionable statements too. Also, the VTX is a mature product that is very competitively priced. The Suunto EON is another attractive wrist-watch design with a slim profile and menu controls. It has a higher battery life than the Oceanic model, and the batteries are rechargeable for economy. The big difference between the EON and VTX dive computers is cost. Air integration is standard on the VTX, but the pricier EON requires an add-on purchase for this functionality. Check our in-depth review of the Suunto out for yourself at http://www.deepbluediving.org/suunto-eon-steel-dive-computer-review/. The ScubaPro is another similar dive computer and is also made by a reputable brand. The style is appealing and adds a few metrics to displayed dive information. The G2 is missing some features of the VTX, however. The G2 has an attractive, crisp and readable display with well-thought-out menus. It offers air integration too â¦ at a higher cost. 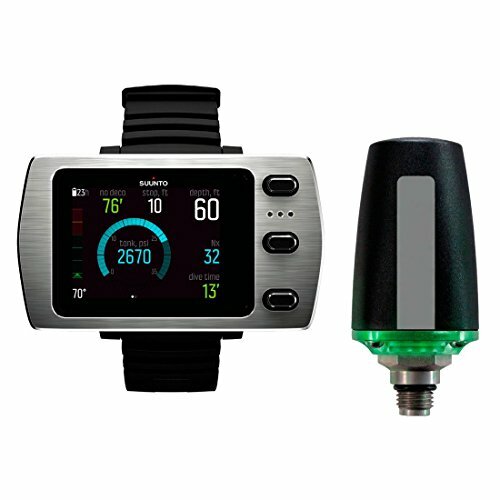 The Oceanic VTX includes Bluetooth integration and connectivity options, along with dive logging and a built-in compass. The VTX is less expensive than the ScubaPro, so if your pocketbook is not a factor, the decision between these dive computers may come down to your design preference. Modern diving technology seeks to solve the problem of complicated calculations and equipment overload while introducing new functions like dive logging and automatic syncing. The Oceanic VTX provides both enhancements, offering a technological precision tool in a great-looking functional design. Air integration eliminates hoses and flopping gauges, giving you the ability to monitor your dive easily. Add in logging and connectivity enhancements, electronic compass and simple menu display, and you have a tool that looks as modern as the technology inside.